AOMEI Tech provides you award-winning backup & restore software and hard drive partition manager, is trusted by over 20,000,000 users worldwide. Top reliable backup & restore software that protects data security for Windows PCs/Laptops/Servers on the Global. All-in-one hard disk partition manager that allows you to safely repartition hard drive and keeps your hard drive in the most reasonable state. 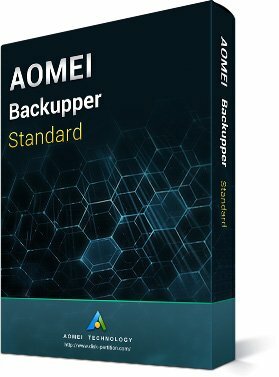 AOMEI Backupper Standard is the top free backup & restore software within friendly GUI. You can simply use it to backup and restore system, disk, partition, files and folders, sync files. It is also a powerful cloning software that protects your data security from disaster for PCs and Laptops. 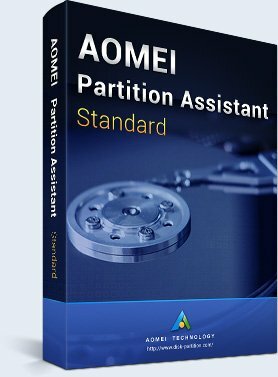 AOMEI Partition Assistant Standard is an all-in-one free disk partition software that includes resize/create/delete/format/move/split/merge partitions and more functions. With this freeware, you can repartition your hard drive and keep your PC or Laptop running at its best. AOMEI Products have been tested by Professional testing organizations and won the praise. AOMEI Partition Assistant Standard (formerly Home) Edition would seem to be the most powerful and capable freeware disk partition utility we've tried. OneKey Recovery can help you create a factory recovery partition and use it to restore your computer to its factory default or a previously backed up state. This program is simple, safe, and very easy to use. Over 20,000,000 users in the Global have chosen AOMEI products. AOMEI Backupper provides the most reliable way to keep data security, and AOMEI Partition Assistant provides the safest way to manage disk and partition in the best state. Good morning - I have purchased server versions of Aomei backupper and really like the software. I am now trying to buy a technician plus license from your website. Best Software for backing up and restoring Windows operating systems including Windows 10... I highly recommend AOMEI Backupper for all home users as well as business houses, which has tremendous usages.